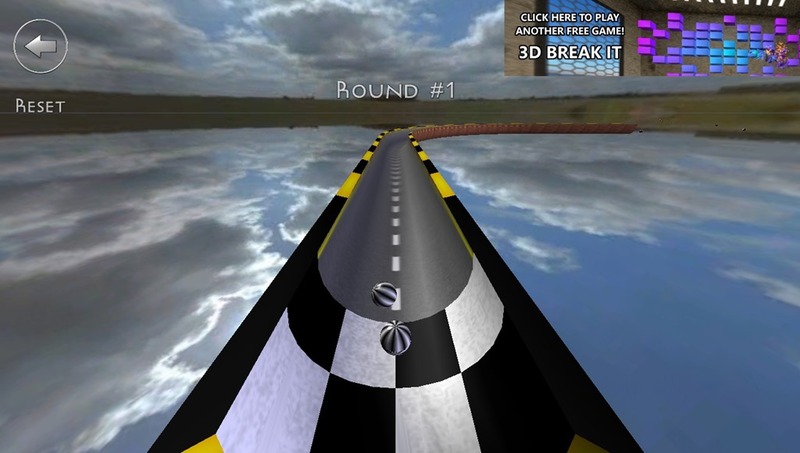 3D Marble Tracks is a free Windows 8 Game app to play Marbles. It lets you compete with players Worldwide. You can choose from 100 Tracks to play this game. 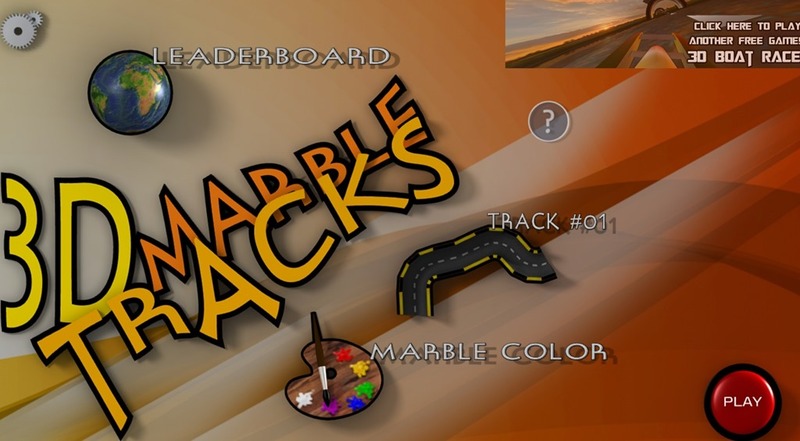 3D Marble Tracks is freely available in Games category of Windows Store. This is quite an Interactive Marbles Game, which will keep you glued to your seat. The Game uses Good Quality 3D Effects to make it even more enjoyable and fun. Your main aim in this Marble Game is to reach the Goal in the least number of moves. Turn music on and start playing this Interactive and free Windows 8 Game app. Let’s get you a better idea about this Marble Game for Windows 8. Right when you start 3D Marble Tracks, you will be having options like selecting the color of marble you are using, selecting the track, Leaderboard (where you can see scores from over the world), and other things like settings for the game. Select your track and color of your marble and click on Play button to begin. Like I have mentioned before, your main aim in this free Windows 8 Game app is to finish the track and reach the goal in the least number of moves. For you, to know who you are competing with or what score you have to follow, in the beginning of the Gameplay, you would be previewed the scores achieved by your competitors. Now you can either watch this or can skip to play your move. For escaping all this and going to play your game, you can right click on the screen and your turn will start. To begin the game and play your shot, you would have to drag mouse back on the screen. Dragging the cursor back, will bring a marked arrow onto the screen. Now, as you leave the mouse, the marble would be projected. After Projecting the Marble, you would be having three chances to correct the Trajectory. In the beginning of the game, only the first level will be enabled. As you complete the first level, on the basis of your Score, Second Level will also be enabled. Now, when you play the second level, in the beginning, you would be prompted that in order to reach to the next level you would have to reach a certain score and position. Based on your achievement, next Level will be enabled for you to play it. 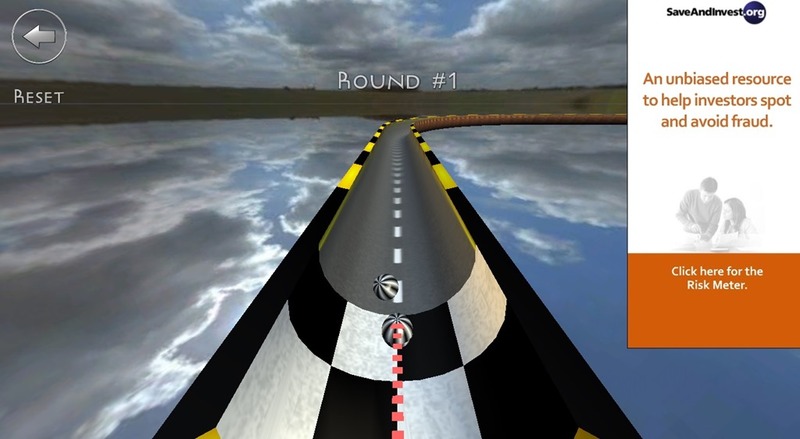 There are 100 Tracks available to choose from to play in this free Windows 8 Game app. Also Check out these other Game apps reviewed earlier by us: Lego Hero Factory Brain Attack, Awesome Zombie Sniper, Royal Revolt, Endless Skater. Nice effects: The 3D effects used in this Windows 8 Game app are quite nice. Availability of Texture Editor to edit color of Marble. Choose from a number of Tracks: There are 100 Tracks (Levels) to choose from. Three chances to change your Marble’s Trajectory after you have launched it. Free availability: 3D Marble Tracks can be availed freely from Windows Store. Ease of Playing: The controls of this Windows 8 Game app are quite easy. Finally, I would like to say that 3D Marble Tracks is a nice free Windows 8 Marbles Game app. This free Windows 8 Game app uses good quality 3D Effects, and is totally fun to play. All in all, it is worth a try. Get 3D Marble Tracks here.